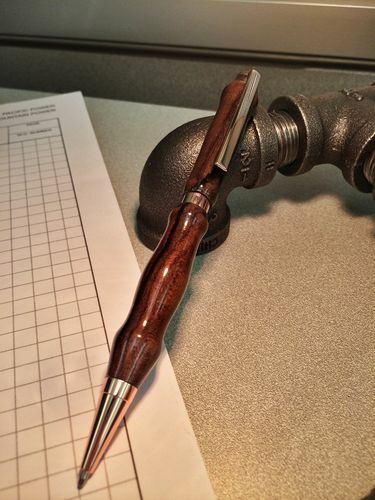 I have been wanting some lathe practice and a pen seemed like a good project for just that. 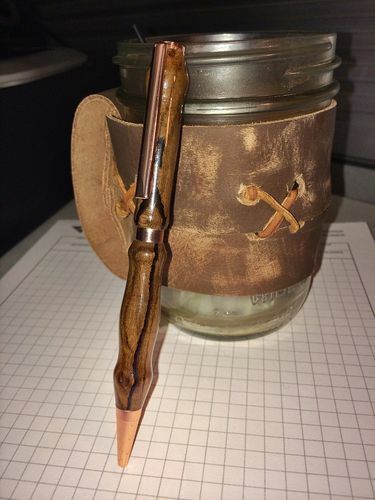 The first pen I turned was the simple shaped one in Osage Orange with Gold Upgrade kit. The second one I decided I wanted to add some shape and ergonomics. 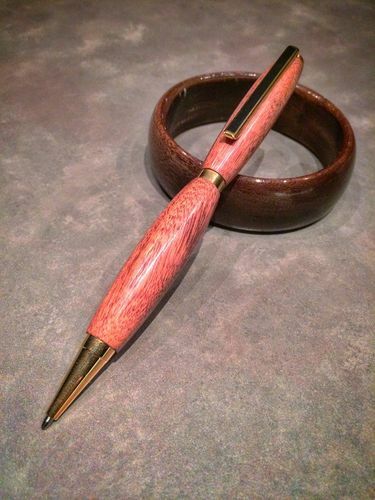 It was done in Bocote with a Copper kit. This was my process: -Blanks were rounded using a radiused square carbide cutter which took less than a minute each. -Then they were shaped mainly with a circle carbide cutter (Sidenote: my carbide tool was purchased from Cap’n Eddie Castelin—google him, you wont regret it) -Both sanded up through 600 and then finished with CA Glue sanded through 12,000 -Polished with Meguiars Car Headlight Wax. Never thought making these would be so rewarding. Its so nice to have a project you can start and finish in one short evening! I found a clearance Fountain Pen kit locally…so I will try to tackle that one next. They all look attractive. Great shapes, woods and well finished. Great job!